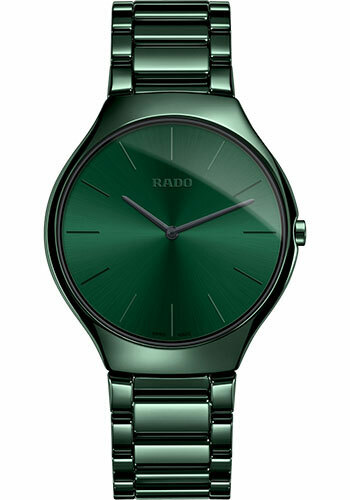 39 mm high-tech ceramic case in forest green, 5 mm thick, forest green dial, quartz movement, high-tech ceramic bracelet. Water resistant to 30 meters. (Pic-code: R27264312).